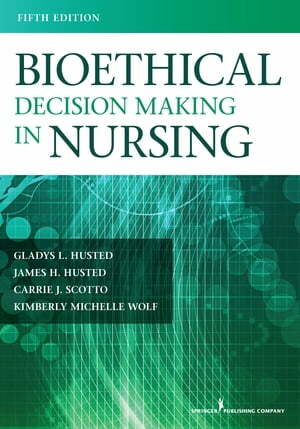 Collins Booksellers - Bioethical Decision Making in Nursing, Fifth Edition by Gladys Husted, PhD, MSN, RN, Carrie Scotto, PhD, MSN, RN, Kimberly Wolf, PhD, MS, PMHCNS-BC & others, 9780826171443. Buy this book online. “This book provides a systematic approach to bioethical decision making, a process that can help clarify situations where right and wrong are not clearly defined. This [is] a valuable book for ethics and theory courses.” Score: 100, ???? ?